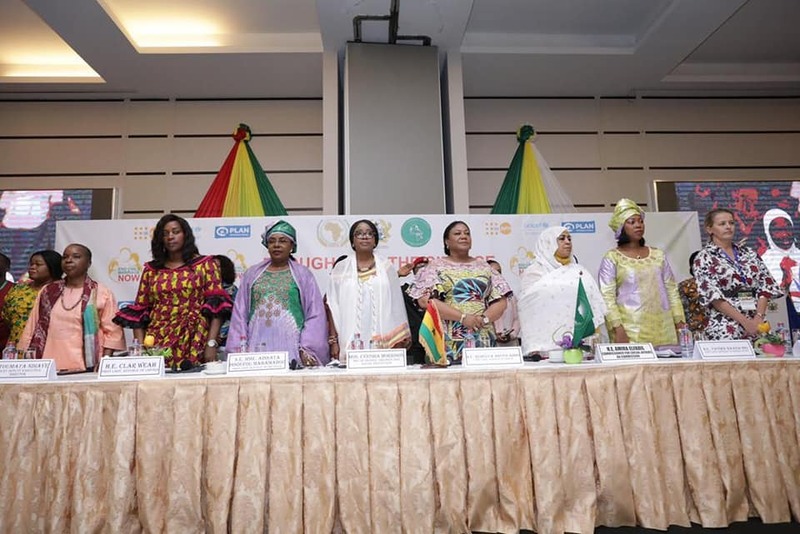 The First Lady of Ghana, Mrs. Rebecca Akufo-Addo, has met her counterparts from other African countries to take a strong stand against early child marriages and other socio-cultural practices targeted at women and girls in Africa. 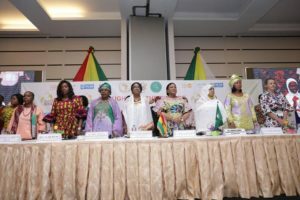 Dubbed the 2nd Girls Summit on Ending Child Marriage, the summit and High level discussion featured First Ladies from Liberia, Niger and Sierra Leone Sierra Leone as well as Gender Ministers and Civil Society Groups from across the continent; and Technical Advisors from Mozambique, Sudan, Zambia and Zimbabwe. Speaking at the opening ceremony to welcome the First Ladies and participants to the summit, First Lady of Ghana, Mrs. Rebecca Akufo-Addo said the high powered gathering is a clear indication of the importance, “the mothers of Africa” attach to issues that affect girls and their commitment to making a difference in the lives of girls and young people. According to her, she was delighted to notice that the Chiefs and Queen Mothers, who are custodians of traditional and cultural practices were key participants of this year’s summit. Mrs. Akufo-Addo held that the theme; “Empower a girl, secure the future of Africa” aligns with Sustainable Development Goals 1,2,3,4 and 5, which are pertinent to the realization of the potential of every African child, especially girls and the development of the continent. She urged them to use their uniquely placed voices and intellect to deliberate actions to effect the change that Africa needs and ensure that nowhere on this continent would a child be married off or a girl undergo female genital mutilation.